TYPICALLY USED IN RETAIL STORES, PUBS, HOTELS AND BARS TO TRANSPORT LARGER HEAVIER ITEMS, TROLLEY LIFTS ARE SUITABLE FOR LOADS OF UP TO 300KG. With floor level loading they are ideal for moving trolleys or in roll cages. 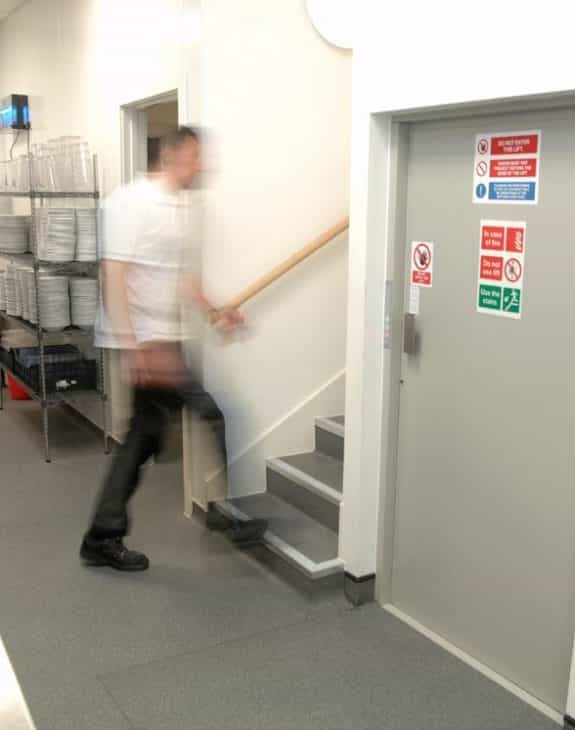 The Trolley lift really would be a great addition to the building saving your staff from manual handling awkward loads. A single-hinged steel door (grey baked enamel finish) as standard protects the landing entrance. An optional concertina shutter leaf gate with a galvanised finish is available. All doors are fitted to our structure and have the correct locks to comply with safety regulations. While it is not essential to fit a collapsible gate to the car on Trolley lifts with single entry configurations, it is highly recommended to do so. However, they must be fitted on all Trolley lifts with entrance positions on opposite or adjacent sides. Here at Axess 2, we’re proud to supply the highest quality trolley lifts. 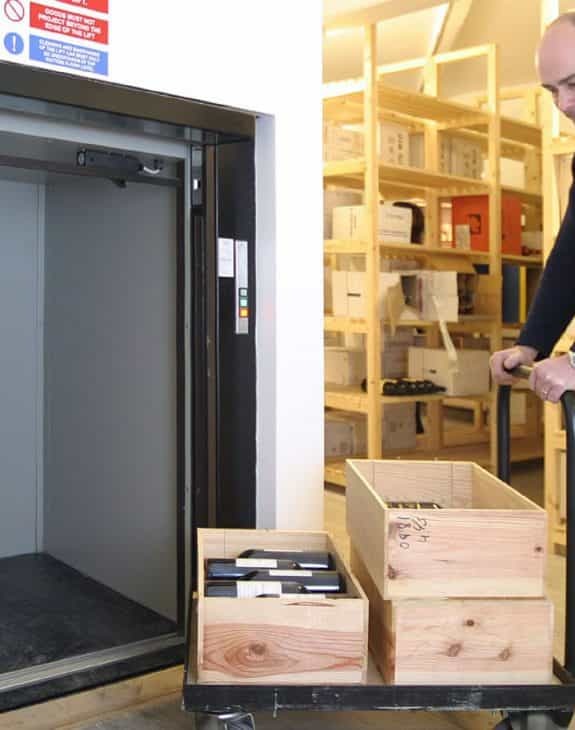 For ease in the transportation of stock within your business, a state of the art trolley lift is just the thing for you. Whether you’re running a hotel, shop or pub, our trolley lifts can make what could be a lengthy and tiresome job, that much easier. If you need to lift beer barrels, or want to move some heavy washing machines, we have two types of trolley lift model available- you can choose either a 250kg, or a 300kg model to suit your needs. WHAT CAN ONE OF OUR TROLLEY LIFTS DO FOR YOU? Not only can our trolley lifts offer you an easy way to move your goods about, but it can also offer you a smooth and reliable ride for them too. 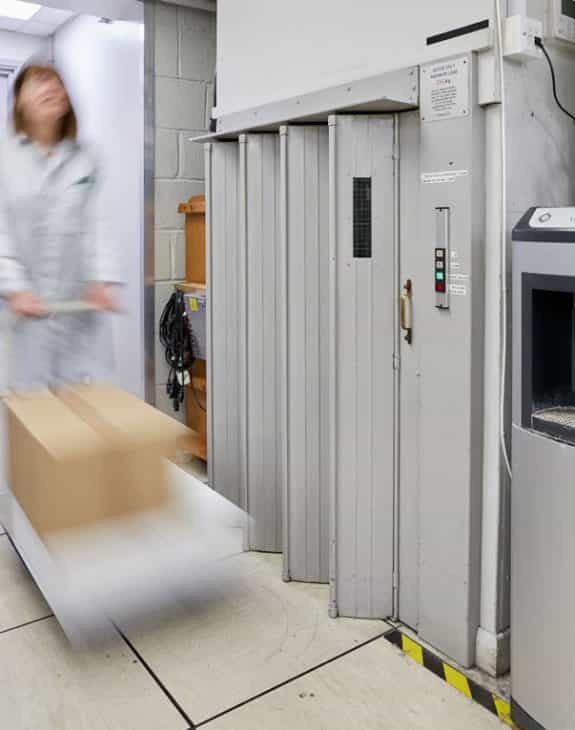 Our trolley lifts are fitted especially to ensure the safety of your stock, travelling at a steady speed of 0.17m per second with call and dispatch buttons at each entrance for extra re-assurance. 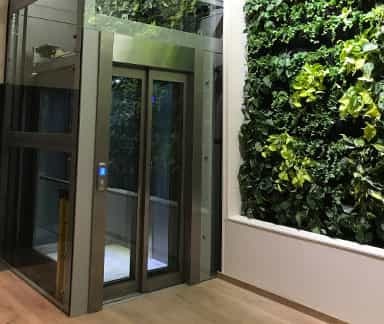 Operating inside a rapidly erected, structure supported frame, which is galvanised for a longer life, a trolley lift is easily installed, taking only a few days meaning there is little disruption to your business. With no motor room or ‘load-bearing’ shaft being required, your costs are cut down tenfold. If you have plenty to move, our trolley lifts are sized at 1000 x 1175mm meaning there’s room for a large sized load as long as it’s below the weight capacity. To make handling and access to your trolley lift easier, a maximum of three entrances on each floor can be fitted. 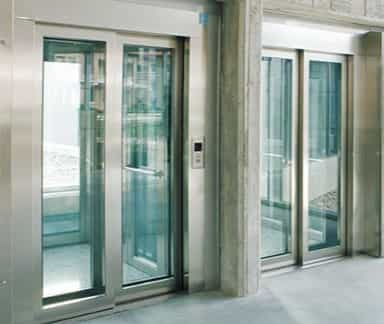 Our trolley lifts are supplied with either single hinge doors with a grey baked enamel or stainless steel finish for a slick, modern look, or with galvanised concertina shutter leaf gates. 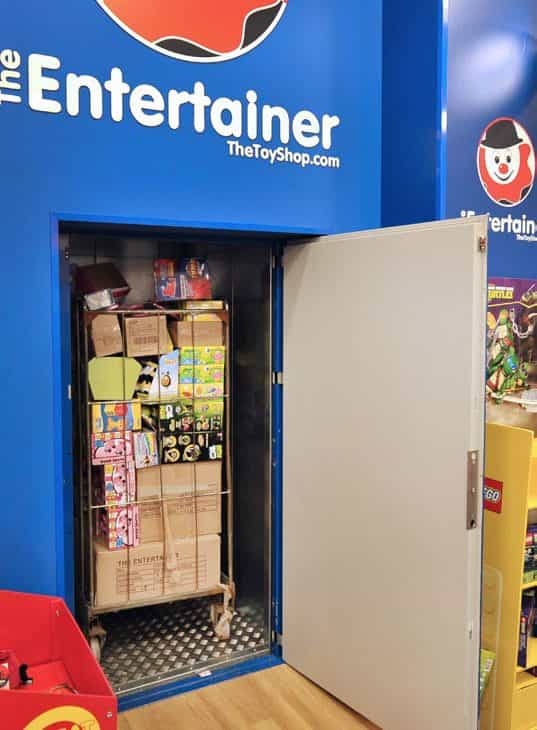 All doors come fitted with reliable safety locks to comply with safety regulations. The trolley lift installation process is a quick and easy one. 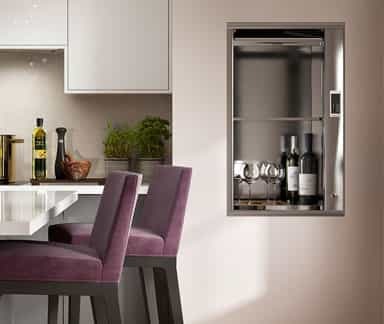 Not only can we provide your builder with exact work details and drawings for your installation but, where necessary, we can directly liaise with the builder to ensure the entire operation runs smoothly. If you’d like to know more about our trolley lifts, don’t hesitate to call the Axess 2 team by calling 01200 405 005. Our team of experts will be happy to discuss any concerns or queries. Our trolley lifts are supplied in a galvanized steel structure support frame. A separate motor room or ‘load-bearing’ lift shaft is not required. A solid base and support at each floor is required. 0.17m/s nominal (0.15m/s for 500kg lifts). A 415V three-phase supply is required for the lift and a standard power socket within the motor compartment. Also includes VVVF drive for improved levelling (only for 250-300kg models). Fully automatic push button control, with call and dispatch facilities at each entrance for extra reassurance.